Driving on our Atlanta roads is overwhelming. So many motorists weave across lanes, careless pedestrians step out in front of us, and drivers pull out of entry roads or parking spaces without looking. Without realizing it, you may have inadvertently bumped someone or something, which means that you probably didn’t stop. Unfortunately, this will result in a Hit and Run. You’ll need an experienced Marietta, GA Attorney to help defend your rights. According to O.C.G.A. 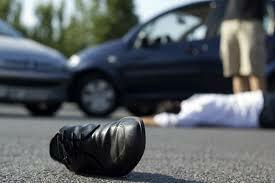 § 40-6-270, if you’ve hit someone or someone’s vehicle, then you must stop and return to the scene of the accident. You will need to provide your name, address, and vehicle registration to the person or driver, and if anyone has been hurt, then you must help him or her by rendering aid or calling an ambulance and police. Georgia law also explains that if you have hit a parked car, then you are required to notify the owner by locating him or her or by leaving a note with your information on the vehicle. The law also specifies that if you’ve been involved in an accident that causes damages of $500.00 or more, then you must report it to the police by the quickest means possible. If the accident caused injury not regarded as serious or life threatening to the person or damage to the vehicle and you did not stop, then you could be fined between $300.00 and a $1,000.00 and possibly imprisoned for up to a year. Your license may be suspended and you may potentially forfeit your car. Your insurance rate will most likely increase, too. Second and third convictions will bring stiffer penalties. If the accident caused serious injury or death to the victim, then you could be subject to a felony conviction if you did not stop. This could result in one to five years of jail time. You will most likely have to pay damages to the victim or victims in any of the above situations. These can include vehicle repairs, medical bills, and funeral costs. Many drivers simply don’t know what their responsibilities are after an accident. Motorists may also be unaware of what to do when they’ve collided with a parked car or telephone pole. Whether you knowingly or unknowingly hit someone or a vehicle and then left the scene, you need Attorney Dean Phillips to help sift through the facts. Police often charge drivers with Hit and Run when they should have been charged with Failure to Report an Accident, a less serious offense. Maybe you hit someone and he or she exhibited hostile behavior. While you don’t have to remain at the scene with a threatening person, you are still obligated to report the accident. The other driver’s menacing behavior, however, can help your hit and run defense. You need Dean Phillips in your corner. He will assess the evidence and determine a defense strategy best suited to your situation. You may avoid losing your driver’s license, possibly maintain your insurance rates, and be eligible for potential employment opportunities. Mr. Phillips represents hit and run drivers in Marietta, Cobb County, Paulding County, Bartow County, Acworth, Austell, Powder Springs, Smyrna, Kennesaw and Woodstock. For a free consultation on your hit and run case, call 770-415-0933.